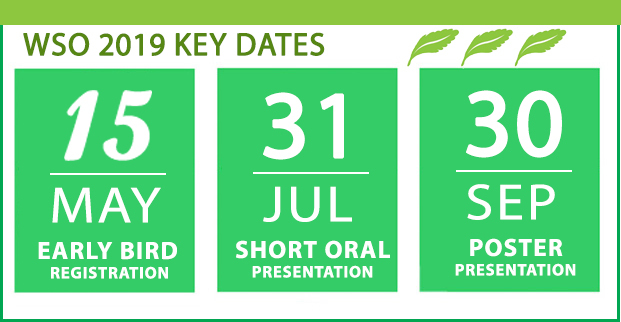 As President of the World Stevia Organisation (WSO), it is a pleasure to announce the 9th WSO World Congress on Stevia, which will be held in Amsterdam on October 17-18, 2019. 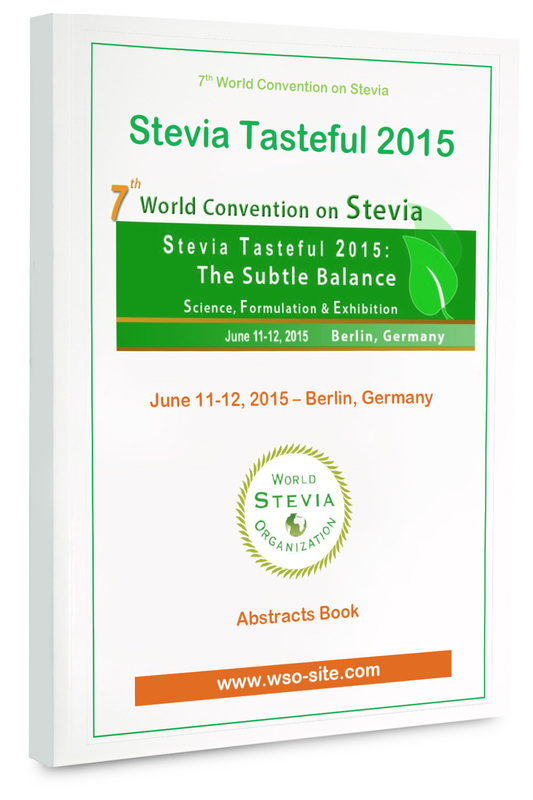 During the World WSO Stevia convention on Stevia which will be held in Amsterdam on October 17-18, 2019, a Special session will be dedicated to "Fast food control of stevia products including in-situ effect-directed evaluation". 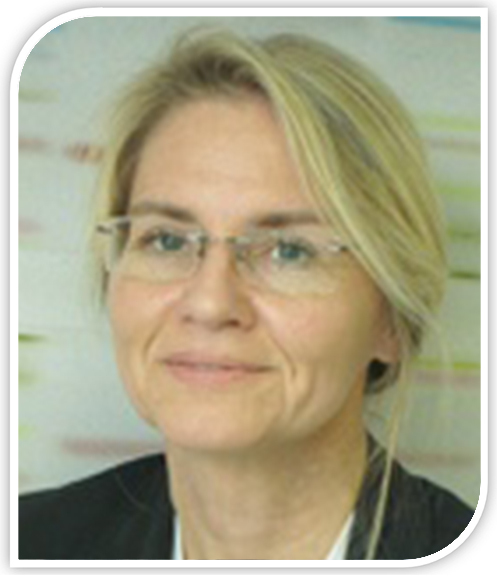 Prof. Gertrud Morlock from Justus Liebig University Giessen, Germany will chair this session. 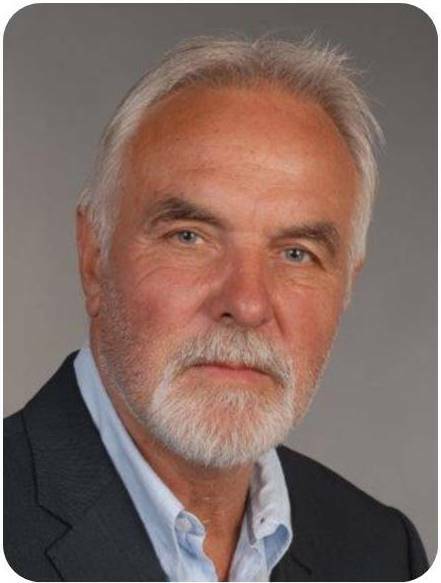 Prof. Benno Zimmermann from University of Bonn, Germany will talk about "Stevia Evaluation and caracterization: Recent advances and strategies"
Prof. Gertrud Morlock from Justus Liebig University, Germany gave a major strategic presentation about HPTLC analysis of steviol glycosides and (iso)steviol in Stevia products during the 8th WSO Convention on Stevia: Stevia Tasteful 2018. 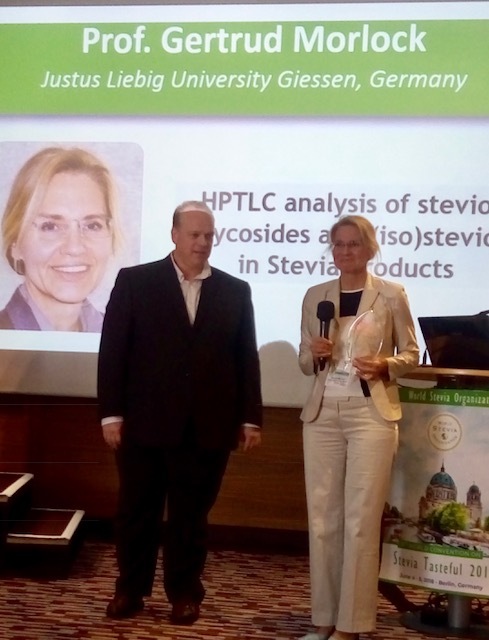 At the end of the convention, her presentation was awarded by the first price of the "Father of Stevia Award 2018", awarded by Wisdom Brand Natural. 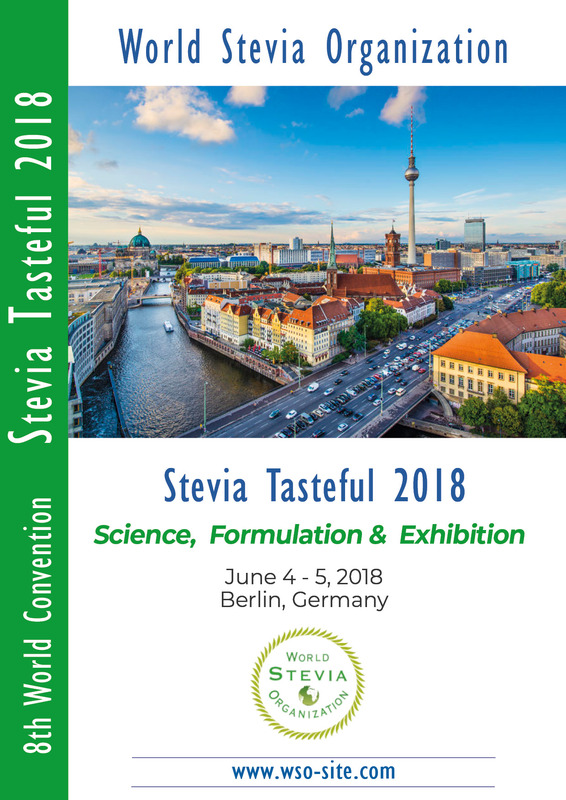 The 8th World WSO Convention on Stevia Tasteful will be organized in Berlin in June 4-5, 2018. 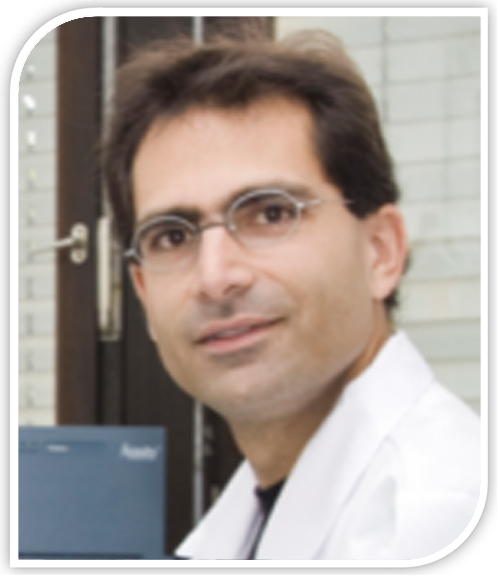 The scientific committee published the final agenda, that you can download here. 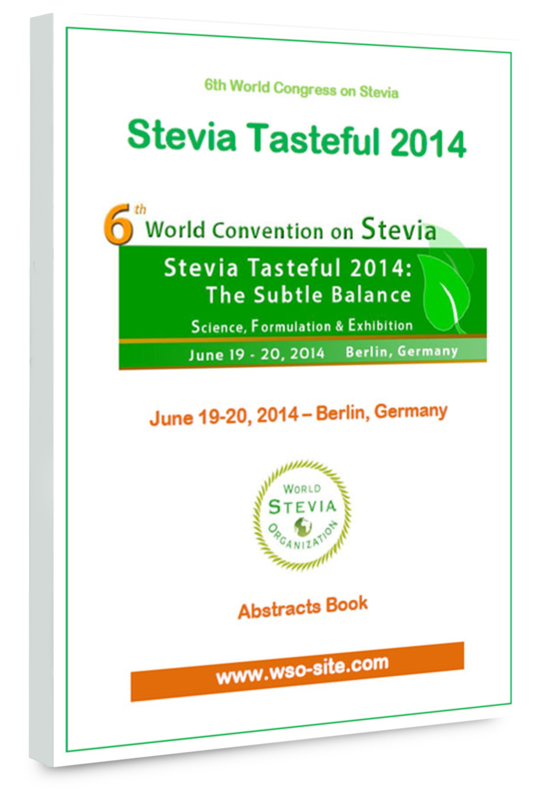 Two new important sessions are organized on the second day: Stevia Tasting & Stevia Speed Collaboration.